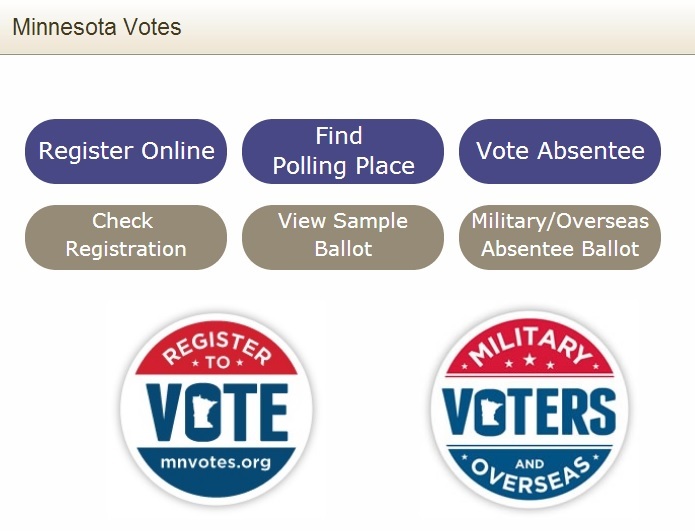 Last fall, I wrote about Minnesota’s new online voter registration system (OVR) – implemented without legislation by Secretary of State Mark Ritchie. Since then, the state legislature has been moving forward with a bill to enact OVR – a bill which must receive bipartisan support in order for Gov. Mark Dayton to sign it. Minnesota Secretary of State Mark Ritchie must immediately shut down the online voter registration system he launched last year because he lacked the authority to create it, a Ramsey County judge decided Monday. Ramsey County District Judge John Guthmann said Ritchie had until midnight on Tuesday to close the system and confirm that he had done so by Wednesday. The judge’s opinion and order can be found here. “If the Legislature believed that the existing online voter registration tool was already legally authorized,” Guthmann wrote, “there would be no need for new legislation.” Last year, both Democrats and Republicans said Ritchie may have gone too far by creating online registration without any legislative purview. When lawmakers reconvened this year, they quickly began crafting their own measures to authorize such registration. Earlier this month, the Minnesota House overwhelmingly passed a measure authorizing a system similar to the one Ritchie created, but with extra security safeguards. Even Republican lawmakers who brought the lawsuit against Ritchie voted for it, said Rep. Steve Drazkowski, a Republican from Mazeppa who joined with three House colleagues in bringing the suit. Sen. Katie Sieben, DFL-Newport, who is carrying the Senate bill, said the Senate will pass online registration Tuesday, sending the bill to DFL Gov. Mark Dayton for his signature. In the end, then, it appears that Minnesota will keep OVR and legislators will get the opportunity to reassert their authority over the Secretary of State on election law matters. But I have to wonder: given the state’s divisive partisanship in the wake of two recounts and the 2012 voter ID vote, would the legislature have moved as decisively as it did to enact OVR *without* the Secretary of State’s unilateral move? In other words, did the Secretary’s establishment of an OVR system present possible opponents with the challenge of what would have been a repeal rather than a rejection of the practice? Obviously we’ll never know – but as the state moves toward little to no interruption of its embrace of online voter registration, it seems interesting to consider whether or not the latest round of bipartisanship in Minnesota might not owe its success to a little partisan push. Of course, the story isn’t over yet – stay tuned. Be the first to comment on "OVR is Dead, Long Live OVR: Minnesota Set to Enact Legislation After Judge Invalidates Existing System"